gujarat information and broadcasting deparment publishes informative periodical gujarat paxic. 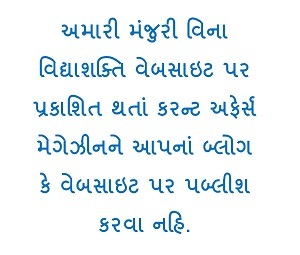 it gives the full details about gujarat goverment development and working method. it is very useful for the students of competitive exam. in this july edition you can read about chief minister relief fund and other news.